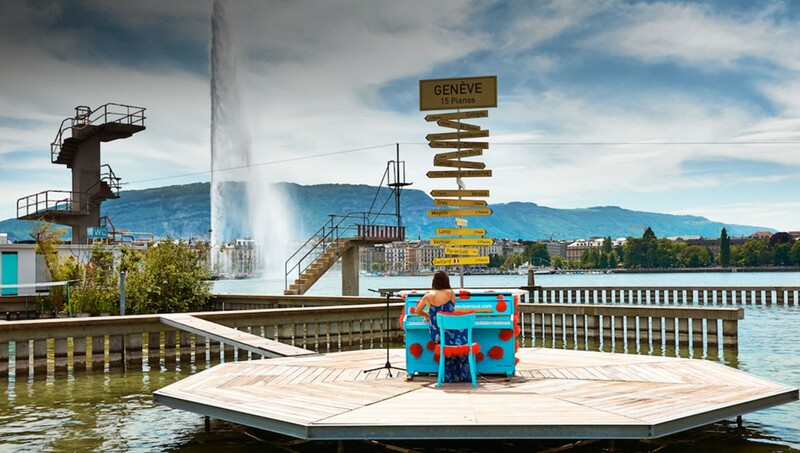 Play Me, I'm Yours is a social and artistic project by Luke Jerram which we've been organising in Switzerland since 2011 under the French name Jouez, je suis à vous. 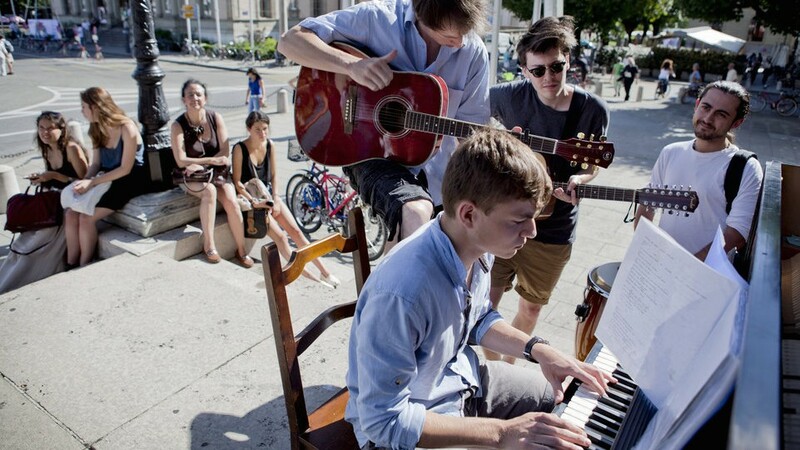 We place pianos in public spaces and make them freely available to passers-by. 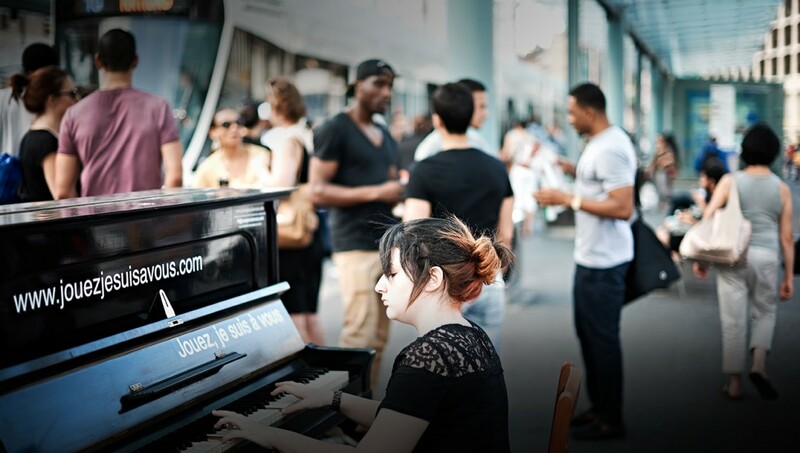 In streets, on squares, at bus stops and even in parks, the pianos invite people to take possession of these collective spaces through music, generating new perspectives of the city. Experienced musicians and novices, locals and tourists, children and pensioners ; each person makes the most of the pianos in their own way. 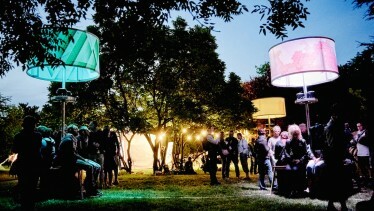 Playing, listening, singing, clapping, dancing - magic moments full of conviviality and exchange. Everyone gathers around the pianos to speak a common language : music! 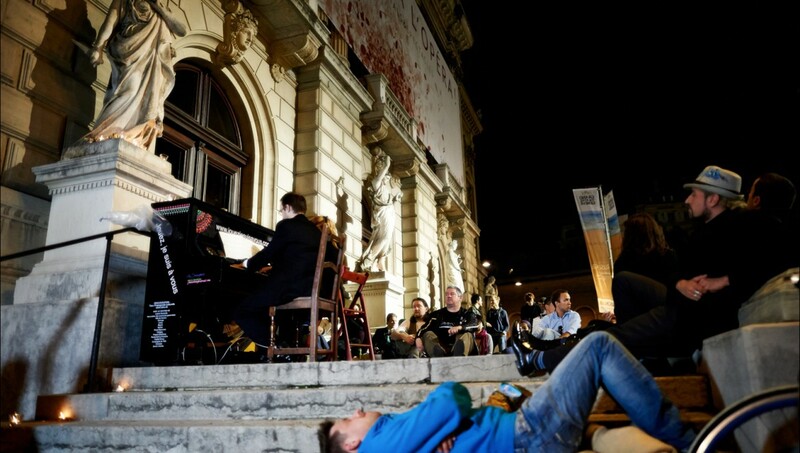 The poetic and unusual presence of pianos in the open air gives a creative, social and convivial feel to any city. 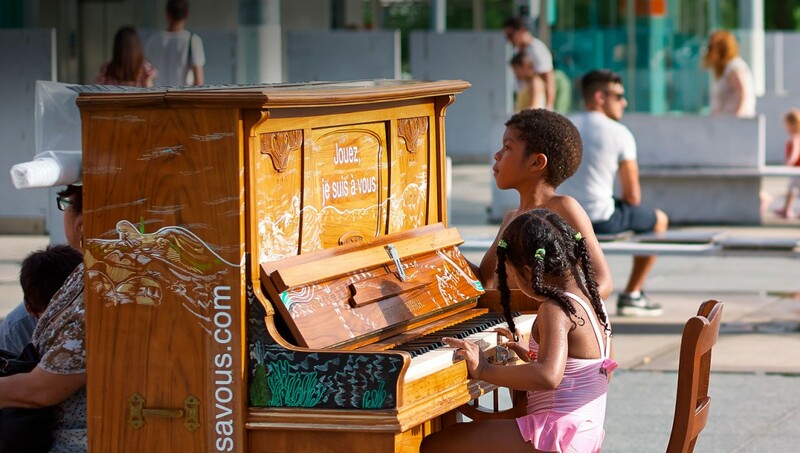 Jouez, je suis à vous enhances and livens up popular, historic or symbolic areas and creates spaces for relaxing and coming together in the summer. 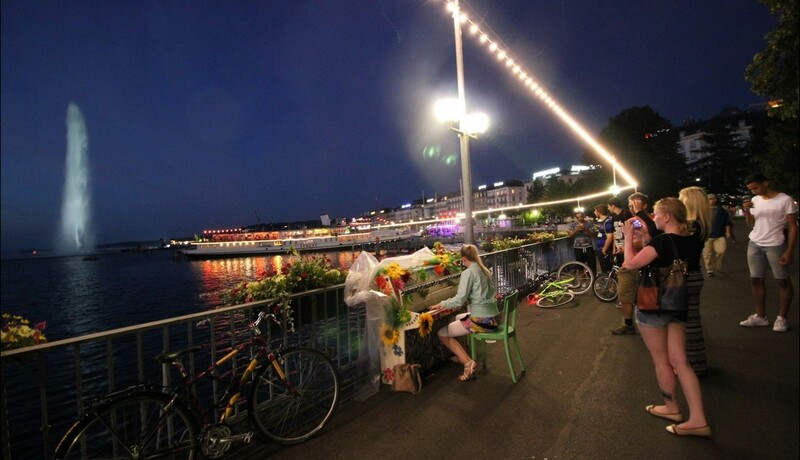 Since 2011 and over 8 editions, 318 pianos have been installed throughout Switzerland and neighbouring France. Let’s transform our cities ! 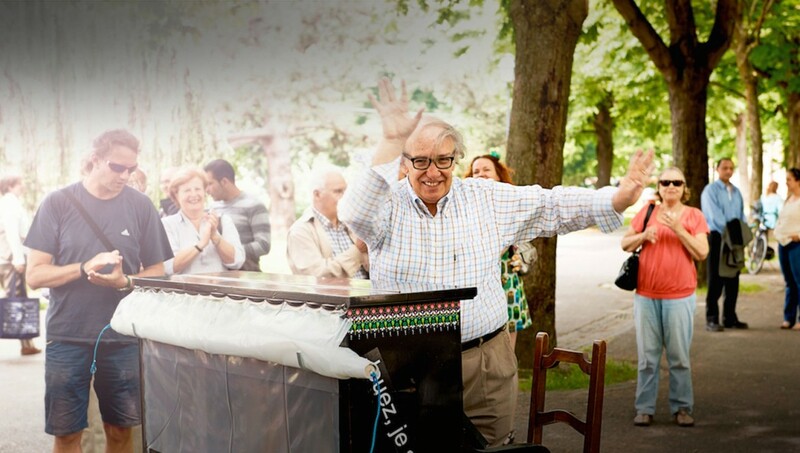 By supporting Jouez, je suis à vous you too can be an agent of social innovation and help the pianos reach new territories. Your donations are tax-exempt. 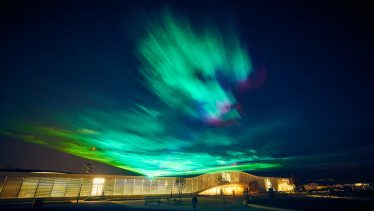 For more information, please ask for our donors dossier.